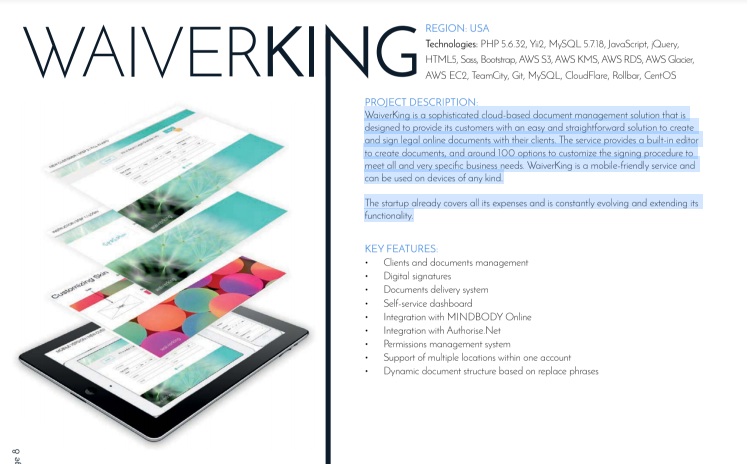 WaiverKing is a sophisticated cloud-based document management solution that is designed to provide its customers with an easy and straightforward solution to create and sign legal online documents with their clients. The service provides a built-in editor to create documents, and around 100 options to customize the signing procedure to meet all and very specific business needs. 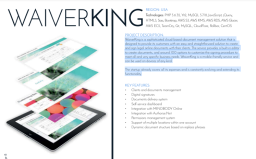 WaiverKing is a mobile-friendly service and can be used on devices of any kind.